A lot of companies and organizations use lanyards as an easy way for employees and students to display their secure ID badges and cards. They�re convenient, they�re accessible, and they come in a variety of colors and styles. But sometimes, lanyards can be dangerous. 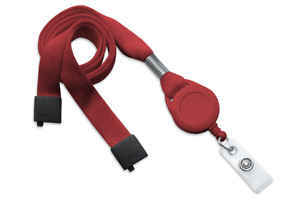 When you think about the situations that lanyard might become a hazard, it becomes obvious they would be dangerous for those who work close to heavy machinery and large equipment. Anything in your production line or in your factory that a lanyard could become entangled with can cause injury or harm to your employees. 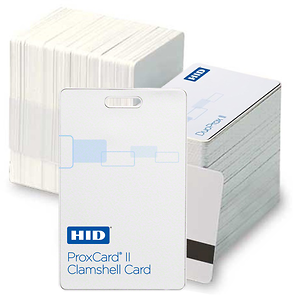 All proximity cards use similar technology to create the functionality that you need for access control. This includes an antenna connected to an electronic chip that contains all of the card�s information. Both the antenna and the chip are embedded into the proximity card at the time of manufacture. Because the ID card is picked up by the proximity reader at a distance, there�s no physical contact between the card and the reader, which should make proximity cards last longer and require less maintenance for your readers. What Do All the Options Mean When Ordering Proximity Cards? If you�re new to proximity cards or in the process of researching if they�re a good fit for your company�s ID security system, you may have run across the acronym LGGMN and wondered what that was all about. Each of the letters in LGGMN stands for an option you must choose when ordering your proximity cards. LGGMN itself is a standard proximity card most often ordered by companies for their ID security needs. When Should I Consider Adding Loaner Coverage? 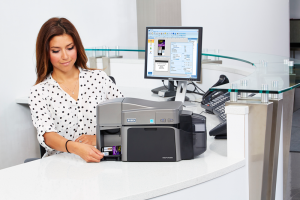 You might be wondering if it pays to add loaner coverage if you�re considering buying an ID card printer system for your business. There are pros and cons to adding this extra coverage to your system that you should consider carefully before making the decision to buy. 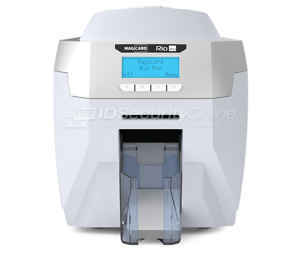 When your ID printer needs serviced or maintained by IDSecurityOnline�s expert technicians, if you have loaner coverage, you�ll get a spare printer so that you can keep operations rolling back at your office. 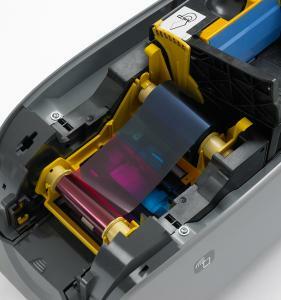 Say your printer breaks or requires an annual maintenance check and you bring it to IDSecurityOnline for a service visit. You could be without a printer for several days up to several weeks while your printer is being worked on. Back To School Promotion: Save Big! It's this time of the year! Save big with our 2017 Back To School promotion. 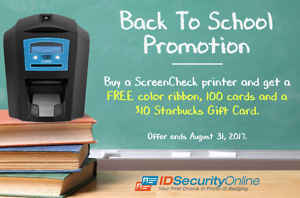 Buy a ScreenCheck printer and get a FREE color ribbon, 100 cards and a $10 Starbucks Gift Card with promo code BACKTOSCHOOL. 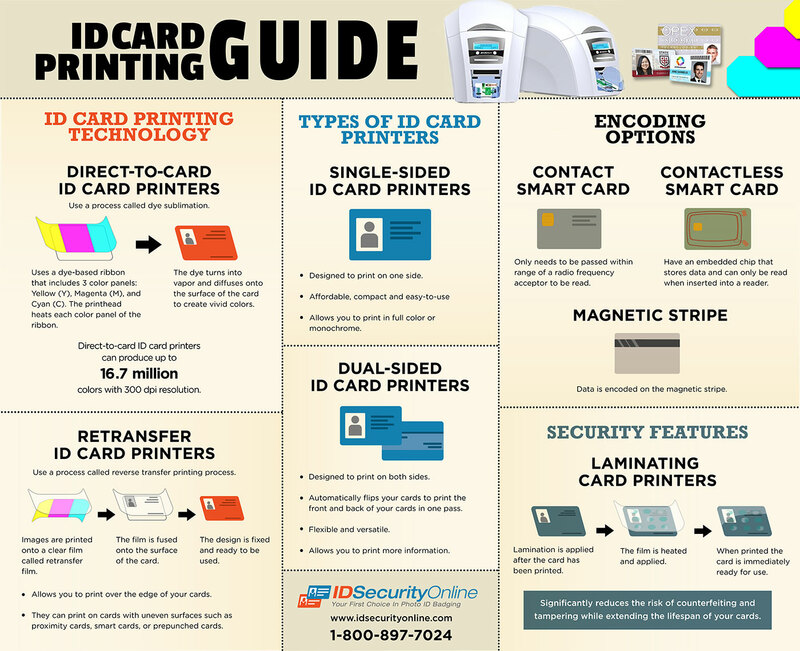 IDSecurityOnline is the exclusive US distributor of ScreenCheck�s ID card printers. Offer ends on August 31, 2017. Imagine you have 500 new incoming students and staff who are waiting in line for their school IDs to be issued. Now imagine your ID card printer only prints 100 cards an hour. That�s a long time standing in line and an even longer time for your staff who have to process each ID card. While the need for speed is sometimes a paramount concern when issuing student ID cards, there are some other factors you need to consider before selecting the fastest printer on the market. The maker of PassagePoint Visitor Management Software � STOPware, Inc. � announced a few weeks ago several new integrations for its visitor management software. In particular, they�re adding new capabilities to deliver powerful improvements to managing visitors in schools, hospitals, government agencies, and other businesses. Identification cards keep a school or campus safer for students and faculty because it�s easy to instantly identify who belongs and who doesn�t. 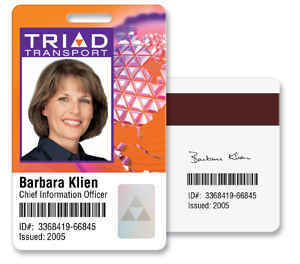 Visitors are usually issued some form of temporary ID card to make them readily recognizable. In this way, it�s immediately noticeable when someone doesn�t have a valid reason for being in the school or on the campus. There are few schools today that don�t issue some kind of ID security card to staff and/or students, from elementary schools to large university campuses. Usually a security precaution, ID solutions run the gambit from a simple photo ID badge to a smart card with imbedded technology for multiple functionality. There are few companies who use only a photo ID badge as a security access point to their facilities. 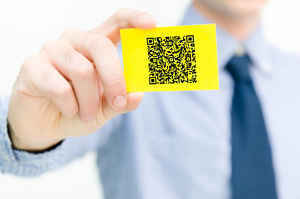 Most have migrated to some type of additional information contained on the card, such as bar codes, QR codes, magnetic stripes, or smart chips that offer additional information. These types of technologies help you gain instant access to more detailed information about the holder of the card, and greatly aid in adding another layer of security to your building�s system. 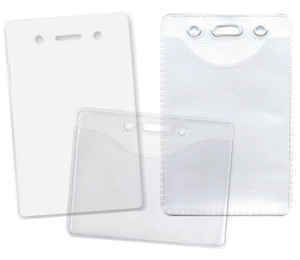 Adding a high-tech option for storing additional data on an ID badge doesn�t need to break the bank, however. QR codes are a high-tech, low-cost option for companies with varying levels of access or who require additional information to verify the card holder�s identification. There are many reasons why you need ID cards or badges. You may need security access cards for employees, ID badges for visitors or conference attendees, or you need loyalty cards to hand out to your best customers. Once you�ve identified a need for ID cards, the next step is to decide how to get those cards. It�s a question we get asked often: Should I have my ID cards pre-printed or print my own? But the answer to that isn�t as simple as you�d like. It really depends on several things. The following questions will help you narrow down the best option for your situation. ID card software programs all have the functionality to design and print cards and badges, but that�s where the similarities end. The following will help you narrow down which program will best meet your needs. This is the entry-level software needed to print ID cards with no need to maintain a database. It connects to a single workstation through a USB connection, and doesn�t talk to any outside databases. Cards are printed one at a time with no batch printing possible. You can add a 1D barcode or encode magnetic stripes on an ID card with this software. If you�re in the market for a new ID printer card system for your business or campus, it�s a wise move to consider what your needs are today and what you might possibly need in the future. Upgrading your ID card printer as your needs change is an option offered by many card printers on the market today, making it easy to grow your system when your business grows. 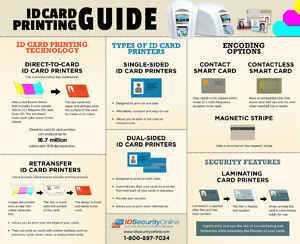 By far, the easiest ID card printer upgrade is offered by Magicard. It�s a simple drop-in kit that lets you upgrade your Magicard printer in the field with little to no down-time. Your organization�s security and identification requirements are unique to your individual specifications, and the ID card printer you decide to choose needs to be up to the task or meeting or exceeding those expectations and specifications. So how do you narrow down your choices from the myriad of ID card printer systems available today? Your answers to the following 3 questions will provide you with a guide to choose the best option to meet your needs.